This body has been named "Green Boots." 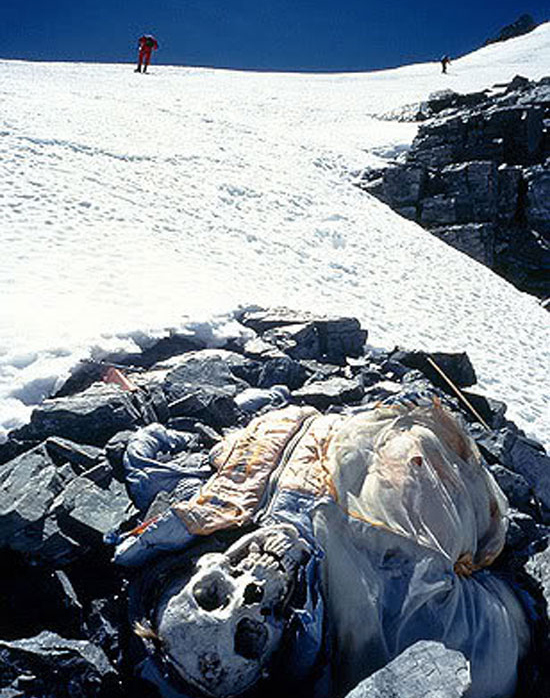 Many of the nearly 200 dead bodies have been named and are used as landmarks. 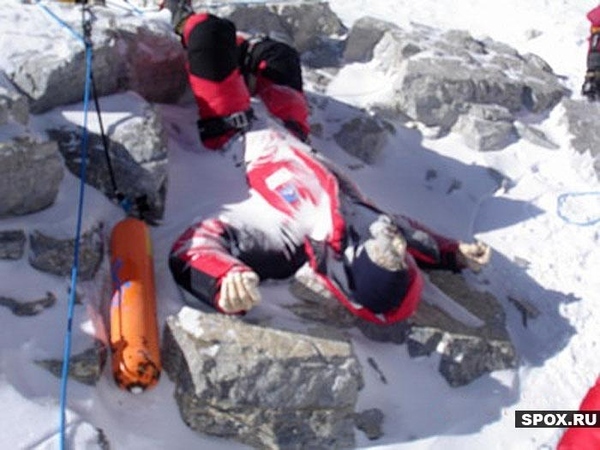 Recovering a dead body on Mount Everest is a near impossibility. 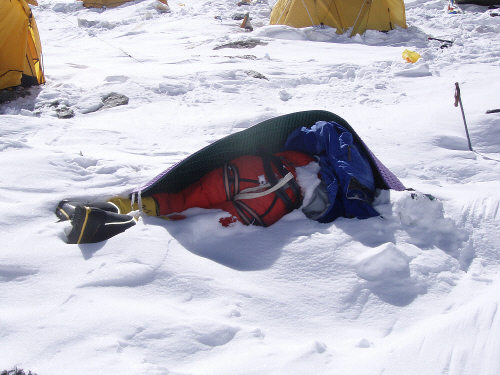 Deaths often are a result of climbers "taking a nap" and never waking up. It costs around $25k to $60k to make a trip to the summit. Sometimes it also costs your life. 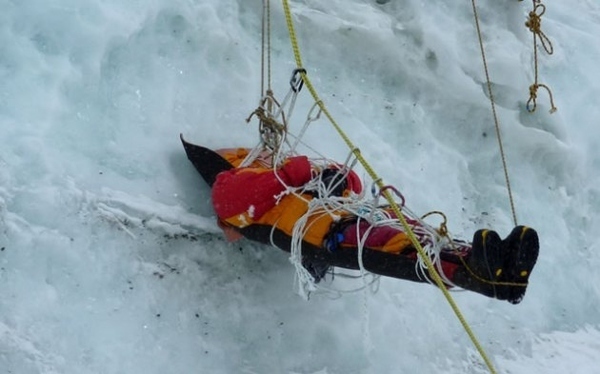 Many climbers have said that the hardest part of climbing Mt. 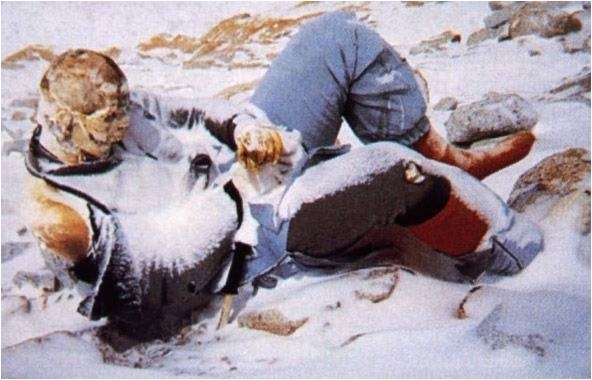 Everest for them was passing all of the graves. 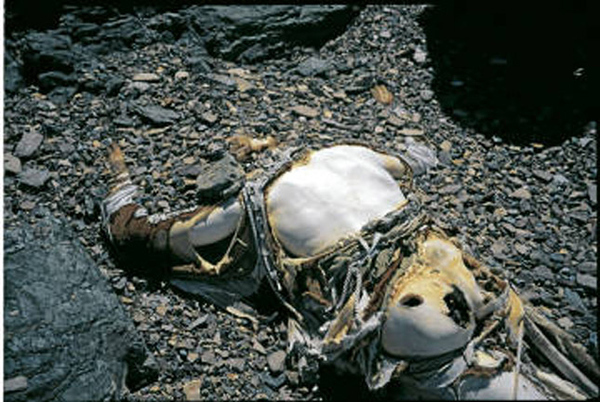 Due to the extreme weather conditions, bodies that have been dead for over 50 years can still be found with little decay. 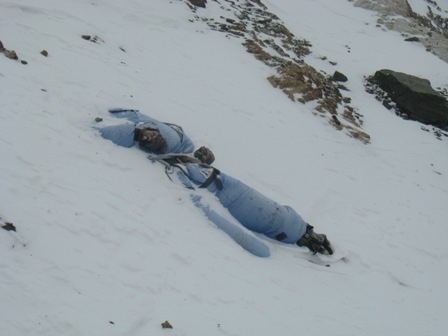 Instant frost-bite is a very real possibility near the summit. 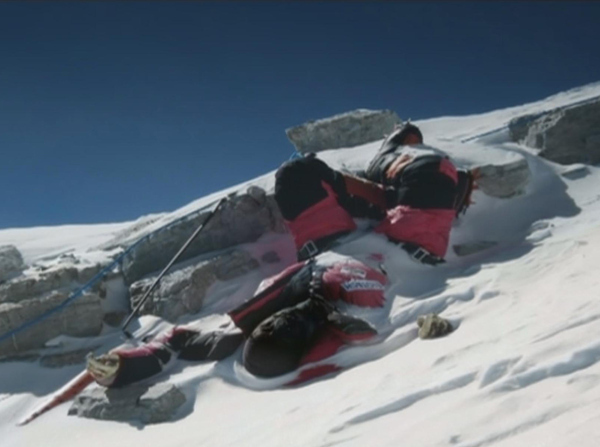 Sometimes climbers stumble upon men and women who are dying on the mountain but have no way of helping them and so they must leave them to die. 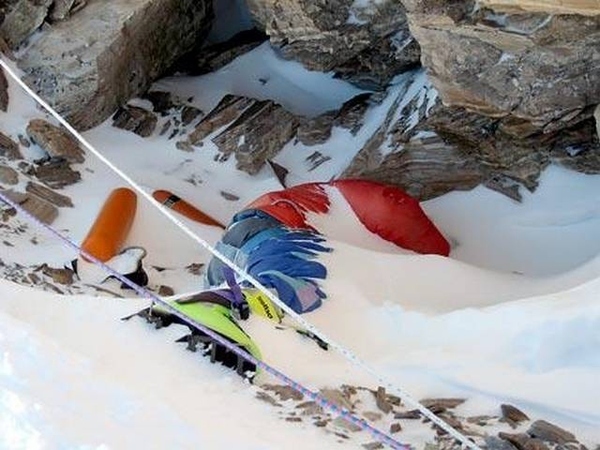 Two climbers found a woman alone and dying yelling, "please don't leave me" but were forced to continue on and let her die as they had no means to help her and staying would risk their own lives. They felt so guilty they spent years saving up enough money to finally return and give her a proper burial.